So, our running getaway to Pretoria... It was a rough one, ha! But one for the books anyway. After a long Friday night of sitting up with a poor, sick Missy K, we were all a bit lacklustre on Saturday morning - so much so that we seriously considered cutting our trip short and heading right back home. We decided to get a professional opinion first, though, and scheduled a doctor's appointment for Miss K at 09:30 - the first available opening. 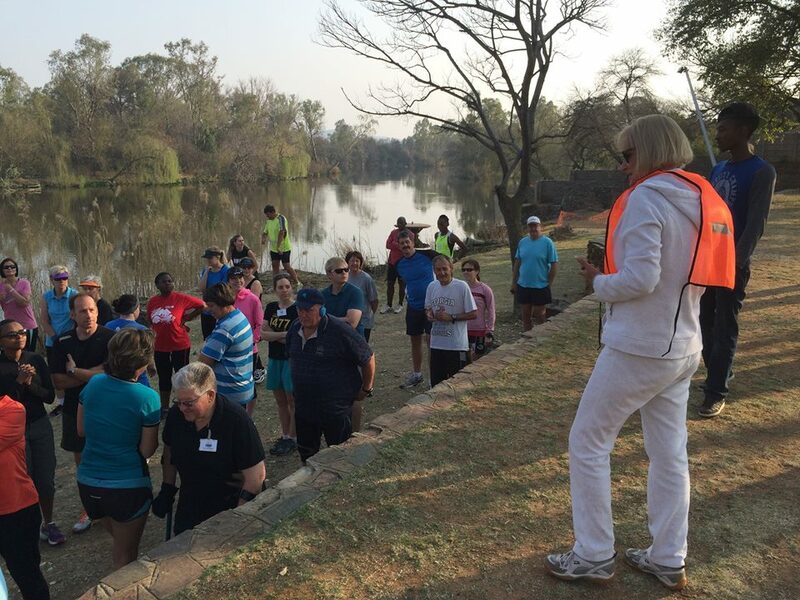 That left us with just enough time for... you guessed it: Parys parkrun! 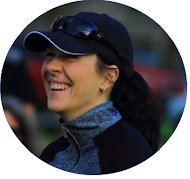 One of my favourite things about parkrun in general is the vibe, and for some mind-boggling reason the very same laid-back, friendly, welcoming vibe is present at each and every parkrun venue out there. And Parys parkrun is no exception - I felt right at home! The locals welcomed me with open arms and I even got a few "go, Kimberley!" cheers along the way. 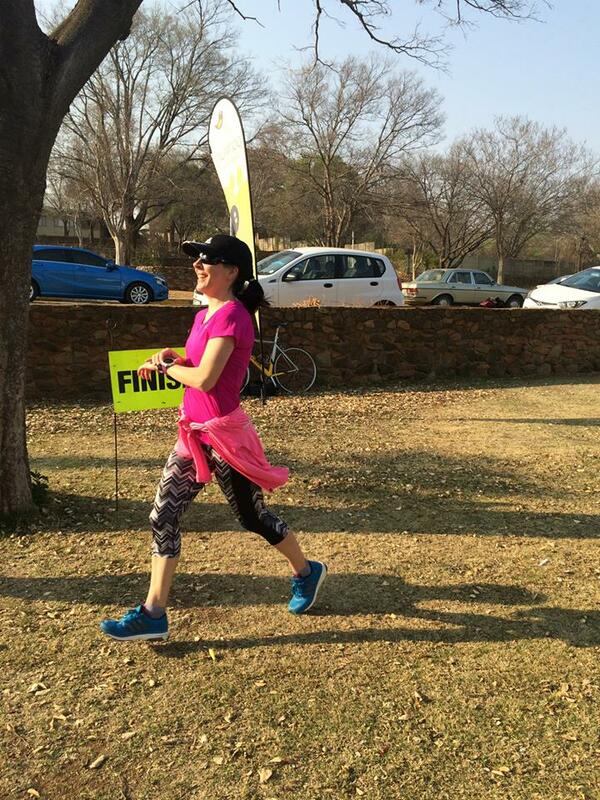 parkrun has a way of restoring one's faith in humanity - I love it. The route is a lovely one right on the banks of the Vaal River - very different from our local Kimberley parkrun route, where there's not a drop of water in sight, ha! It takes you over some grassy banks and along gravel roads and paths - just the way I like it. I finished in 24:20 - a new parkrun PB! I must have been in a daze or something, because I honestly don't know how I managed to clock a PB on two hours of sleep... I've been trying to clock a PB for months! But anyway - I'll take it. Six parkrun SA venues down, 57 (and counting) to go...! I hope that she is ok now. Congrats on the PB. I think the same about the Parkruns, I love that kind of races but unfortunately they are "unknown" in Italy. Thanks, Stefano! She's doing a lot better - very grateful!